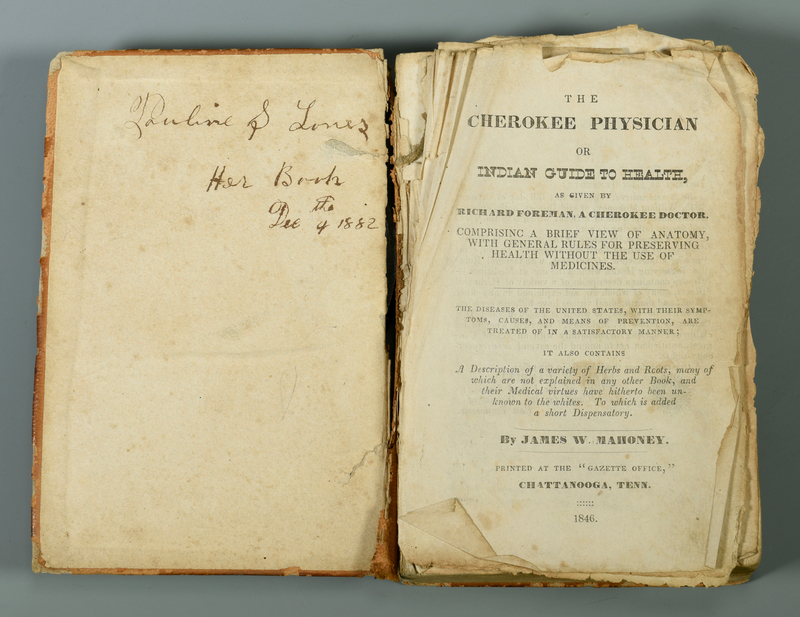 19th century medical guide book titled "The Cherokee Physician, or Indian Guide to Health, as Given by Richard Foreman, a Cherokee Doctor; Comprising a Brief View of Anatomy, With General Rules for Preserving Health without the Use of Medicines. The Diseases of the U. 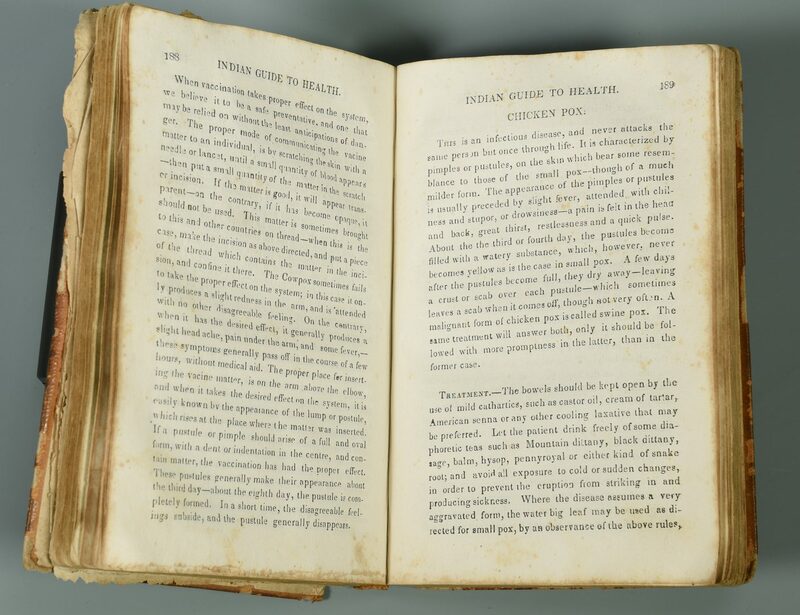 States, with Their Symptoms, Causes, and Means of Prevention, are Treated on in a Satisfactory Manner. 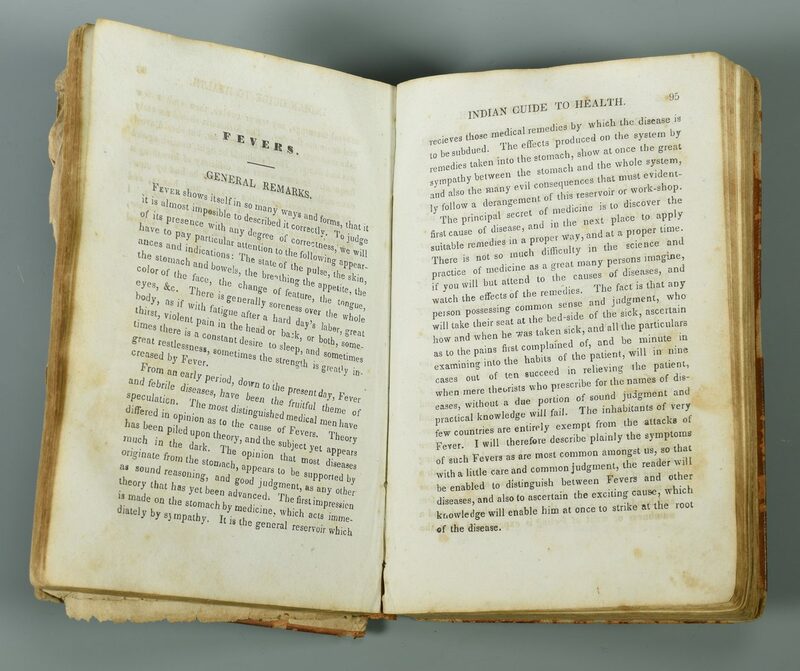 It Also Contains a Description of a Variety of Herbs and Roots, Many of which are not Explained in Any Other Book, and their Medical Virtues have Hitherto been Unknown to the Whites; To which is Added a Short Dispensatory". Given by Richard Foreman to Jas. A. Mahoney. 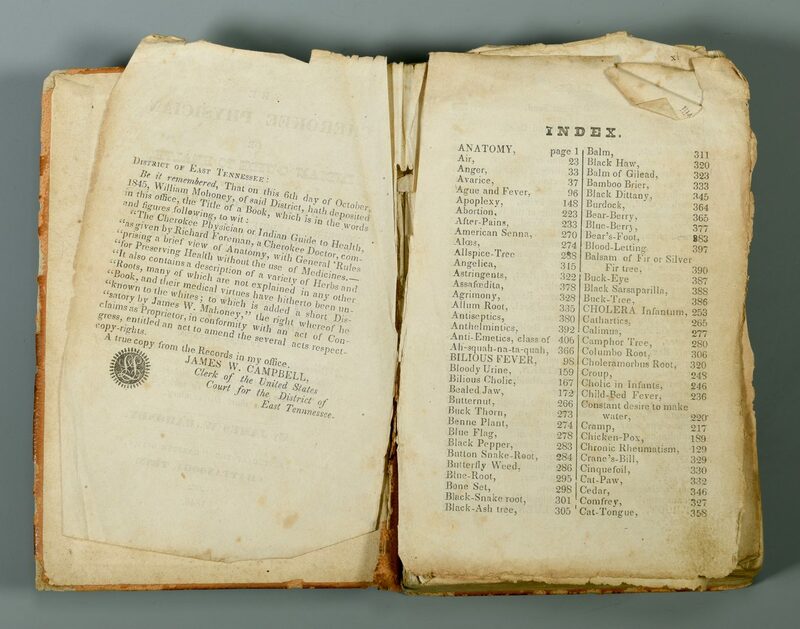 1st edition, published 1846 by the Gazette (and was the first book printed by the Gazette) in Chattanooga, TN. 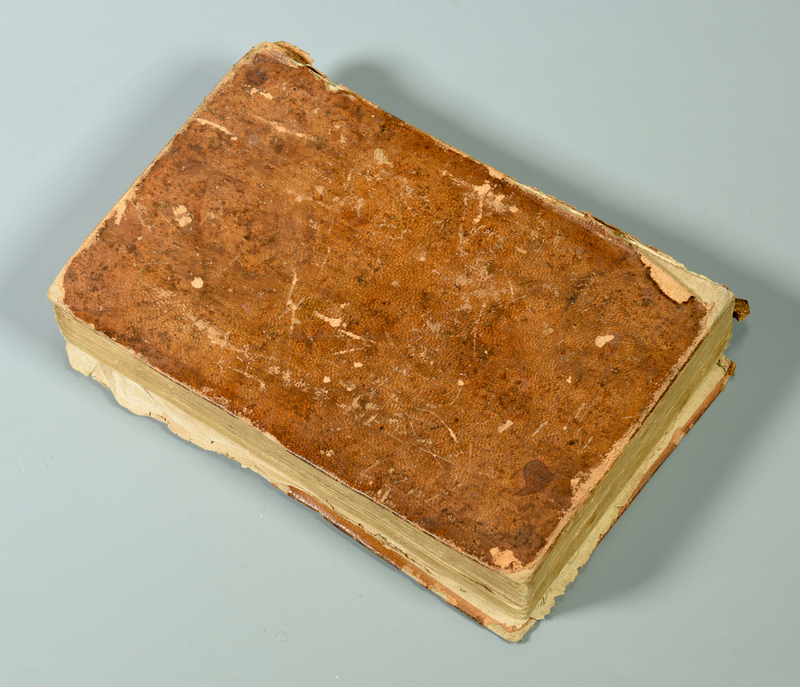 Front cover inscribed "Pauline S. Lones, Her Book, Dec. 4th 1882". Pauline was the wife of Captain Jacob Kimberlin Lones (Lonas). CONDITION: Front cover detached along with title page and index pages. 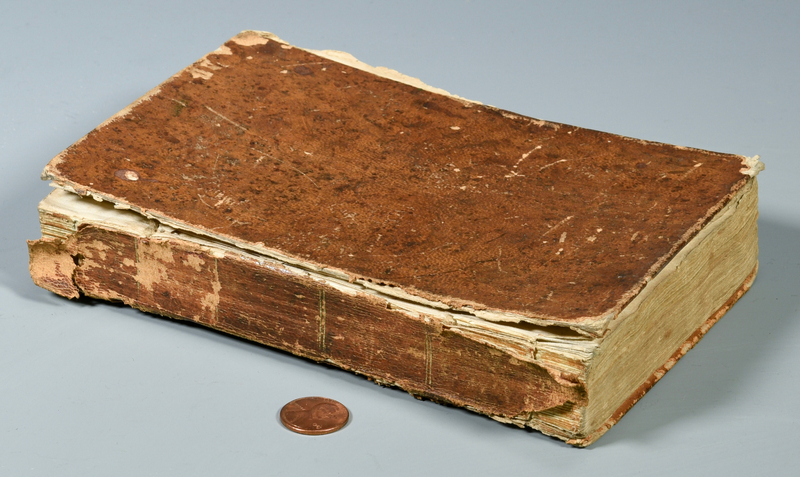 Wear and losses to edges of front cover and back cover. Wear and losses to spine. Foxing to interior pages. Last page of book missing.